The sense of belonging was an impetus for the former curator at the Museum of the Gulf Coast to organize the “Southeast Texas Sports: Hometown Heroes” exhibit, which opened Saturday and will be on display through May 4 in the museum’s Dunn Gallery. Bellian, who now works with the Jefferson County Historical Commission in Beaumont, even shed her alma mater Western Colorado University sweatshirt to reveal her team jersey during a speech. 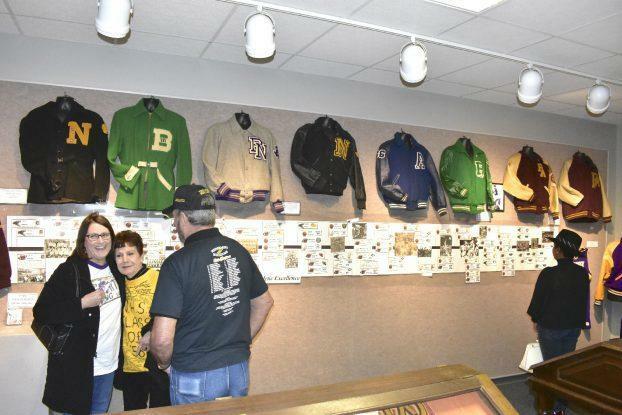 Alumni from past and present high schools in Southeast Texas have donated or loaned high school artifacts to the museum, such as letterjackets, jerseys, helmets, photos, yearbooks and spirit gear. Museum director Tom Neal said such contributions are still being accepted.